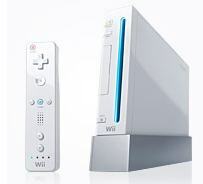 Nintendo's Wii game console outsold Sony's PlayStation 3 by nearly three to one last month in Japan, the country's largest video-game magazine publisher said Tuesday. Nintendo sold 405,000 Wii units in January, compared with 148,000 PS3s, publisher Enterbrain said. Wii and PS3, made by two of the biggest players in the $30 billion global video game industry, went on sale late last year in a three-way showdown with Microsoft's Xbox 360. A wider range of software titles and a lower price tag is helping the Wii, Enterbrain said. In Japan the PlayStation 3 costs twice as much as the Wii.